Allison Janney, Corey Hawkins & John Benjamin Hickey Get Star-Studded Support At 'Six Degrees of Separation' Opening! Corey Hawkins, Allison Janney and John Benjamin Hickey got a whole bunch of support at the opening night of their play, Six Degrees of Separation! Oh, Hello co-stars Nick Kroll and John Mulaney, former Friends co-stars David Schwimmer and Matthew Perry, Andy Cohen, Teyonah Parris, Victor Garber and Samuel L. Jackson all stepped out to show their support for the Broadway revival held at the Barrymore Theatre on Tuesday evening (April 25) in New York City. Sarah Jessica Parker & Matthew Broderick Bring Their Kids to Opening Night of 'Charlie & The Chocolate Factory The Musical'! It’s a Broderick family night out to Broadway! 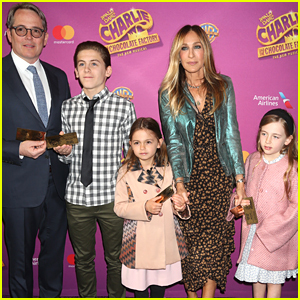 Sarah Jessica Parker and husband Matthew Broderick took their kids – James Wilkie, 14, and twins Marion and Tabitha, both 7 – to the opening night of Roald Dahl’s Charlie and the Chocolate Factory the Musical on Sunday (April 23) at the Lunt-Fontanne Theatre in New York City. The 52-year-old Divorce actress was also joined at the opening night event by her close friend TV host Andy Cohen. Other stars spotted arriving on the red carpet included Jane Krakowski and her son Bennett, 6, along with John Stamos, and Victor Garber. Ben Stiller Brings Family To Star-Studded 'Groundhog Day' Broadway Opening Night! 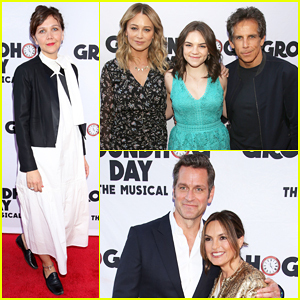 Ben Stiller made it a family affair at last night’s Broadway opening of Groundhog Day! The 51-year-old actor brought his wife Christine Taylor and their 15-year-old daughter Ella to the star-studded opening night party of the Matthew Warchus-helmed production, starring Andy Karl and Barrett Doss, held at Gotham Hall on Monday (April 17) in New York City. 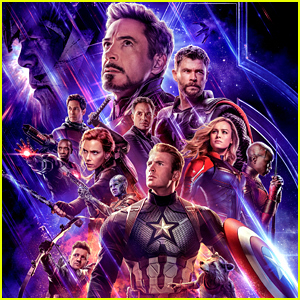 Also in attendance at the event was Maggie Gyllenhaal, Mariska Hargitay and her hubby Peter Hermann, Christian Slater, Jesse Eisenberg, Peter Gallagher, Victor Garber, Bob Harper, Michael Ian Black, Bobby Moynihan and his pregnant wife Brynn O’Malley, Frankie Grande and Andy‘s wife Orfeh. Based on the 1993 film of the same name, Groundhog Day follows Phil Connors (Karl), a disgruntled weatherman stuck in small-town America who relives the same day over and over again. As he gets to know associate TV producer Rita Hanson (Doss) for the first time repeatedly, he realizes it’s an opportunity for second, third, and fourth chances – Buy tickets here! Broadway musical Dear Evan Hansen had even more celebrity guests this week! 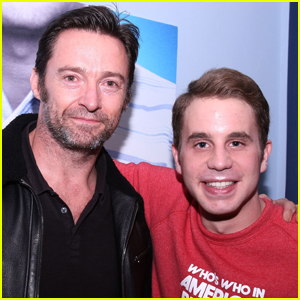 Hugh Jackman stopped by to support leading man Ben Platt and the rest of the cast on Monday (December 26) at the The Music Box Theater in New York City. The 48-year-old actor was also joined by Victor Garber. After the show, Hugh took to his Instagram to share his thoughts about the musical and a photo with the cast. “@dearevanhansen brilliant musical with stellar performances all around,” he captioned the cute group photo. Last week, Zac Efron also stopped by to see the show and gave it a rave review! Alias' Jennifer Garner & Victor Garber Reunite for Dinner! Victor Garber and Jennifer Garner played a father-daughter duo on the hit show Alias and they have remained super close ever since! The actors were seen with big smiles on their faces while leaving Craig’s restaurant on Sunday night (November 13) in West Hollywood, Calif.
Jen and Victor were joined for dinner that night by fellow actor Martin Short. Earlier in the day, Jennifer was spotted going to church with her estranged husband Ben Affleck and their kids. Grant Gustin, Melissa Benoist, Stephen Amell & More Start Filming CW Crossover - First Set Photos! Grant Gustin heads out of his trailer and to set to begin filming the upcoming DC crossover for The CW on Thursday (October 12) in Vancouver, Canada. 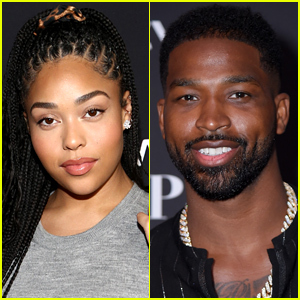 The 26-year-old actor was joined by his Flash co-star Carlos Valdes, as well as Arrow‘s Stephen Amell, David Ramsey, Emily Bett Rickards, Supergirl‘s Melissa Benoist, and Legends of Tomorrow‘s Nick Zano, Victor Garber, Brandon Routh, Dominic Purcell, Caity Lotz, Franz Drameh, and Ciara Renée. The cast shot a bunch of interior scenes inside a airport hangar that day. Plot details are being kept under wraps for this episode, but we can’t wait to see it!